Owning a small plumbing company, or even thinking about forming one in the near future, can be an extremely daunting task. With the level of competition in almost every region across the country, the plumbing industry has proven itself to be quite competitive. With the right mindset, work ethic, and proper marketing, however, making a real go at a small plumbing company can be a viable career option for many. 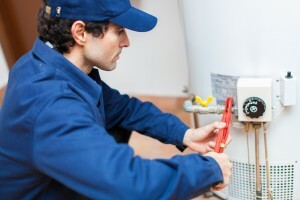 Of course, everyone needs an experienced plumbing technician at one point or another for their home or business. To really get started, there are numerous free resources available. While it is true that many trade groups require a fee or annual membership in order to join in the plumbing industry, many such groups allow small plumbing companies the opportunities to utilize free resources. These free resources include training manuals, research, and helpful tips and advice from professionals who have been in the business for decades – or more! Utilize these free resources to really get your feet off the ground and make a name for yourself. The better business you offer, the more customers will flock to your service regularly. Never underestimate the power of a community – whether it be online or out in the real world. Both have their advantages and have proven results when it comes to running a small business of any kind. By catering to an active community, you effectively grow your business range and customer base. Taking part in activities around your own community to get your name out there. Offer support or charity work in your community for an added boost. Online, communities such as Reddit, have been known to offer useful advice and tips. For more information on free resources for your small plumbing company, contact Contractor 20/20 today at (607) 770-8933.